Responsible tourism is an attitude of mind to which we should all aspire. When on a walking safari or camping safari it is a must to keep to the tracks laid out in the parks; in Tanzania it is important to keep to the designated trails. If a driver is caught making a new trail with his vehicle he looses his license and is banned from all National Parks. To keep to the trials helps protect fauna and prevents soil erosion. Tanzania takes its responsibility towards the environment very seriously. The African in these parks is the heritage of the Tanzanian people. In the National Parks use authorized land for camping. The official camps sites may be little more than a cleared area of ground to pitch your tent; camping is generally very basic in Tanzania. Camp fires are not allowed because of the danger of a bush fire, the small amounts of wood there is available is not to burn but to return nutrients to the soil or best left for the resident pastoralists. It is preferable therefore to bring you own camp stove. It is advisable to use bottled water; the local water sources may be heavily used by people and animals so may well be contaminated. If you do use water purify by filtering and boiling and/or the use of purification tablets. Avoid using soap or shampoo directly in the water sources and wash at least seventy meters away from any water source. Use established toilets where possible otherwise dig a shallow hole and bury all evince of you visit; a makeshift toilet should be seventy meters away from any water. The local people of the area – remember you are their guest – treat them with the regard a visitor should show toward the host. Many of the National Parks are home to people whose economy is based on livestock; respect the local customs and traditions and dress code. Often tourist has little respect for the dress code of other cultures. It is not pretty to see tourism interfere with the native peoples work and private lives use common sense and remember what is acceptable in your culture may not be acceptable in a more traditional culture. Ask permission before photographing people, try to use designated village to visit within the National Parks and Game Reserves. If you are camping close to a village it is possible to negotiate a visit with the village elders. This will normally involve some payment. The Tanzanian Government does not encourage roadside deals for photography or giving of gifts at the roadside. This encourages people to harass tourists and has been known to cause the deaths of children who run into the road looking for sweets or money when a vehicle approaches. It is better to visit a village and give through the elders or make a donation to a registered charity. I would also advise that many of the peoples may be poor in material positions but they are rich in skills. Pay them for their bead work, carvings basket weaving… when buying a curio it is better to buy from the people who make them so they get the full benefit. If you buy from a curio shop you make the middle men rich. Your driver/guide may well take you to a curio shop or two; driver’s receive commission for this; so it is in his interest to convince you to buy from an established curio shop as this is where the largest commission is paid. An exception to this rule would be Tanzanite; this beautiful blue stone is better bought from an established gem dealer. Do not be tempted to buy in the street you may get a good deal but it is more probable you won’t. You may even find buying from an established merchant is a better deal than in the street! It is also safer, much more comfortable and stress free. This should not have to be said but say it I must; remember not to littler. Pack with care leaving all unnecessary packaging in the town. Carry out all you litter, do not be tempted to bury it as animals will invariably dig it up – litter looks unsightly – littler kills. In conclusion treat the peoples here as you would want to be treated by visitors to your home. Treat the country with the respect it deserves; remembering you are the stranger here arriving with the strange customs. 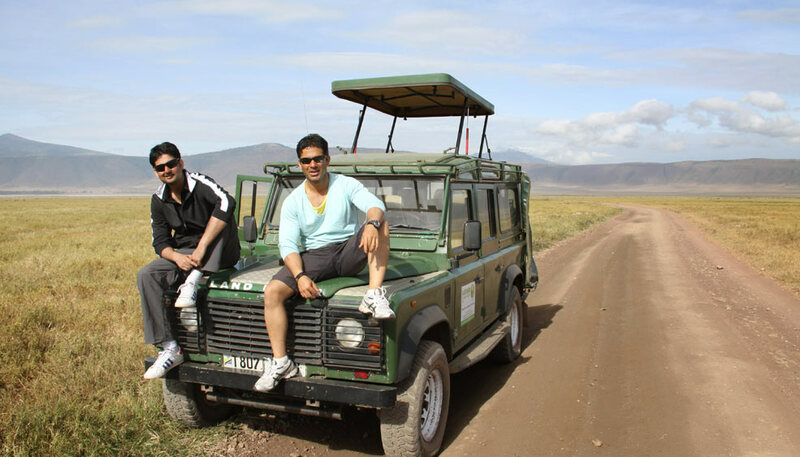 Relax and enjoy this wonderful country, Africa is an amazing place to be, the peoples of Tanzania are friendly and very polite with a keen interest in learning about where you come from and to welcome you.